Clickteam Fusion 2.5 Developer is the flagship game development tool by Clickteam. It is the ultimate, professional, developer version for rapid game and application development. The developer version is worth a considerable amount more than the Standard version of Fusion 2.5 and for good reason. 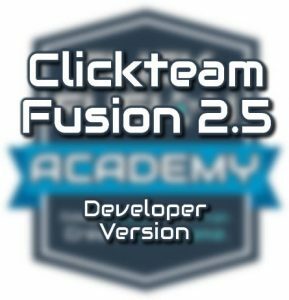 Some of these reasons we will explore further down but for now, let’s cover the main product itself; Clickteam Fusion 2.5 Developer. Since 2006, Multimedia Fusion 2 was split into two versions, Standard and Developer. The reason for this was, if you were happy with the Standard edition, then you would find yourself paying only a fraction of the price for Developer, usually around a third of the price. On the surface, you may not see a reason why you would want to purchase the Developer version over the Standard version and yes it can be a little cumbersome to understand why. There is a version comparison chart on Clickteam’s official product website but this is not easily accessible when you are just browsing the products. When you purchase (or upgrade) to Developer, you are also upgrading your license for the software also. 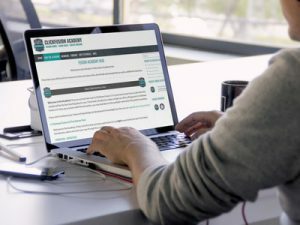 Typically, the license upgrade differences are what you can do with your end product. The current Standard license allows you to distribute your games or applications free of charge with no royalties to pay to Clickteam, however you must include a splash screen in your finished game/app giving credit to Clickteam and/or Fusion 2.5. With a Clickteam Fusion 2.5 Developer license, you don’t ever need to do this. You are free to distribute all of your games and apps created using the runtime free of charge with no royalties to Clickteam and no credit required at all. Although it’s always nice to include it into the credits, just as a thankyou. These agreements are called the Clickteam Runtime Agreements. You have no rights under the Free or Standard runtime agreements to modify the version information. However, with developer you can. Which means you can ‘increment’ your game or application version number at will. This is important for updates, patches and cross-referencing executable files for final distribution. MDI (Multiple Document Interface) is a development concept that has been around for a long, long time now in the development world. A multiple document interface allows you to develop an application that can contain an almost unlimited amount of sub-windows, within one main window. A prime example of this can be traced way back to Wordpad which was one of the first Rich Text applications ever released for Windows, circa 1995. The use for MDI was warranted because it allowed users to open and switch to and through, multiple documents in the same window and the same session. Since then its use has been expanded upon, only ever so slightly changing but it’s a routine that is still widely used today, more particular in software development. Having the MDI ability inside your Clickteam Fusion Applications can be quite the life saver. We have seen it used in lots of examples of software development. Docking is another useful window feature inside Clickteam Fusion 2.5. The term docking comes from having the ability to ‘pin’ a window to the main window. For example, if you look up at your browser icons on your web browser, that is a toolbar that is docked. In Clickteam Fusion 2.5 you can create toolbars that dynamically flow with the size of the window and can cater for scrolling too. There are many uses for docking sub-apps in Fusion 2.5 for both game design and app development. This feature is truly something special and very unique to Clickteam Fusion 2.5 Developer. You can set a frame property that allows you to not even allow the Fusion 2.5 runtime a ‘display surface’. Basically, when you are editing your frame inside Clickteam Fusion, you usually see ‘whitespace’ or whatever color background you specified for the frame. This ‘whitespace’ acts like a duplication object. All of your objects are drawn onto that white surface but when you run your game/application, it’s actually drawn to a pseudo-surface. Basically, without this ‘invisible surface’ the runtime has nothing to draw your game onto the screen with. What could you possibly want to turn that off for? Well, it’s hard to say as it is quite a specific and unique feature, however I have personally used it. One typical example I developed was to display drop down boxes and combo boxes on the screen, with the desktop visible behind. 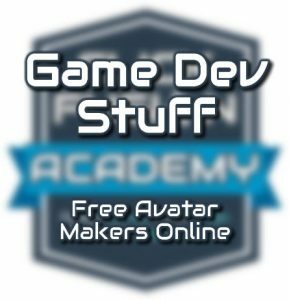 If you want to monetize your games (ie: earn money from them) then the Developer version of Clickteam Fusion is the way to go. The Developer version gives you exclusive access to lots of additional Clickteam extensions that allow you to make money from within your applications and games made with Fusion 2.5 including AdMob, ChartBoost and much, much more. 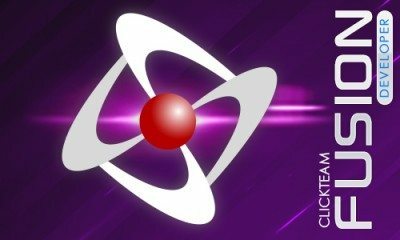 Having the Developer version of Fusion 2.5 allows you to gain access to extensions not only in the Windows runtime but also for Android, iOS, HTML5 and any other exporters you may own. These monetization extensions will allow your users to buy ‘tokens’ or ‘coins’ in your games for example, they are called “In-App Purchases”. ChartBoost and AdMob allow you to display ads in your games and applications. Ultimately, the choice is yours on which version you pick. You could even start off with Standard and upgrade to Developer at anytime. However, if you are serious about making games and applications that either want to make money in the long run or you want to unlock the hidden features that Standard doesn’t offer, then I highly recommend getting Clickteam Fusion 2.5 Developer.